Happy birthday to your husband. The recipe is easy to follow. I'll try this soon. 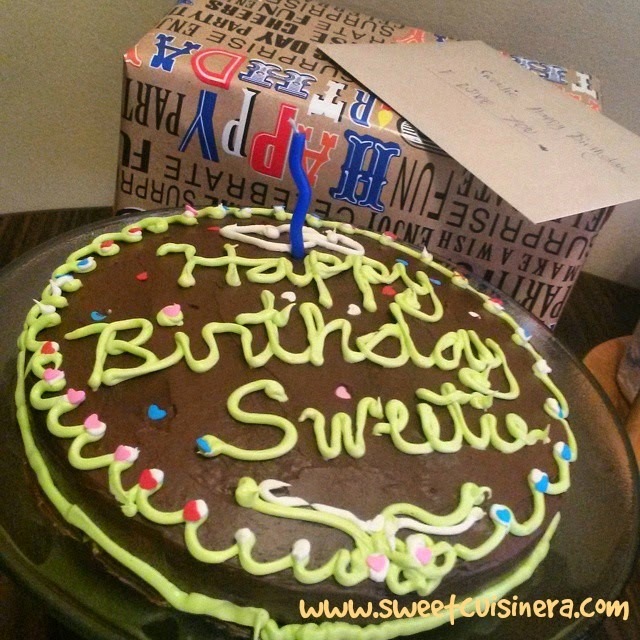 :) The cake looks delish too sis!! This is delicious and healthy too :) My daughter would love this! 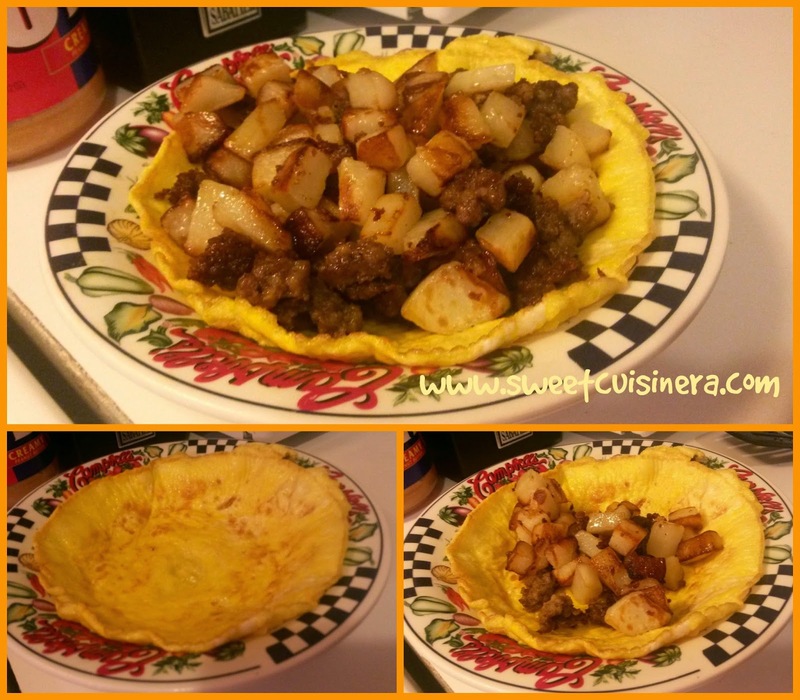 I will try this Sunshine skillet also and see if my kids will like it. The cake looks delicious, too. 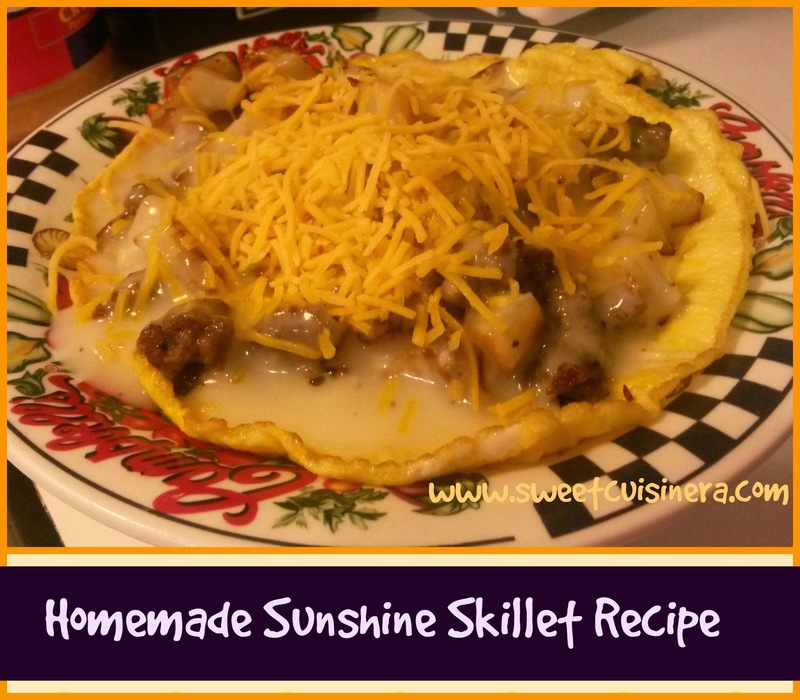 Thanks for sharing the Sunshine skillet recipe. I've been looking for breakfast variations to serve. Can't wait to try this tomorrow! Thank you for thsi sis. I have been looking for new breakfast recipe. I am sure my son will love this. I have baked yellow cakes before, but I have never tried putting icing and cream on it. Yours look good. This looks perfect for breakfast! Belated Happy Birthday to your husband. You're welcome. BTW, the cake looks yummy as well. Looking forward to seeing your next bake or dish. What will you be cooking next? hmm lokks yummy.. parang empanada ba sya? Nice birthday breakfast! You are indeed a sweet cuisinera. You hubby must be very happy on his birthday. Wow!!! Mouth watering dishes!! Happy big day kai hubby.. I love cheese! Thanks for sharing the recipe - I will try this out with sweet potatoes instead. The cheese toppings make it more special. Great recipe. Wow! That looks really delicious. I am not a good cook but I would want to try it. Yay! Another recipe -- delicious!